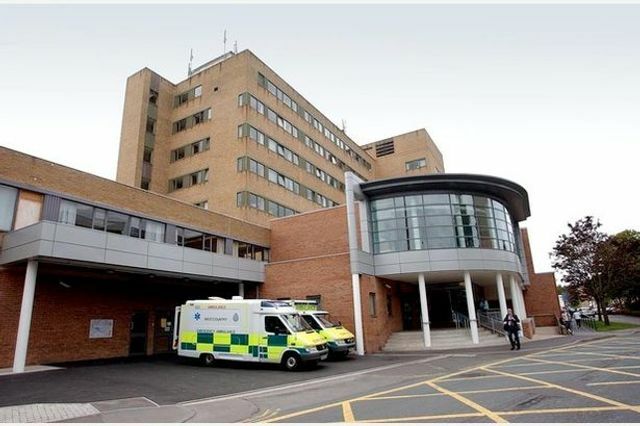 I've been asked a few times to write a blog about Yeovil's changes around the emergency department (ED) and flow. I've shied away from this up to now as ED is a constant challenge to stay on top of, and there are no easy solutions. But as we approach winter I thought it couldn't hurt to share some reflections. I'll do this in two blogs: this one about how we did change, and one on what we did. 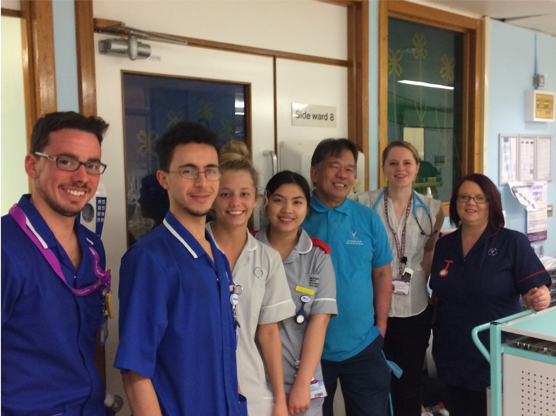 Three years ago Yeovil Hospital ED was in a difficult position: we had two consultants on a seven consultant rota, around 25% vacancy rate in nursing, and had experienced a bruising CQC inspection at the height of winter that raised a number of concerns. Understandably morale was low and we were struggling to know what to do. Today, thanks to the passion and skills of the Yeovil team and our partners, we have minimal vacancies and perform over 98% for four hours. I write that with hesitation as we approach what will surely be a very challenging winter. All too often those of us responsible for Trust ops are told what to do: stream patients, do ambulatory care, reduce delays etc. But it's not the what in my experience that's the challenge, it's the how. 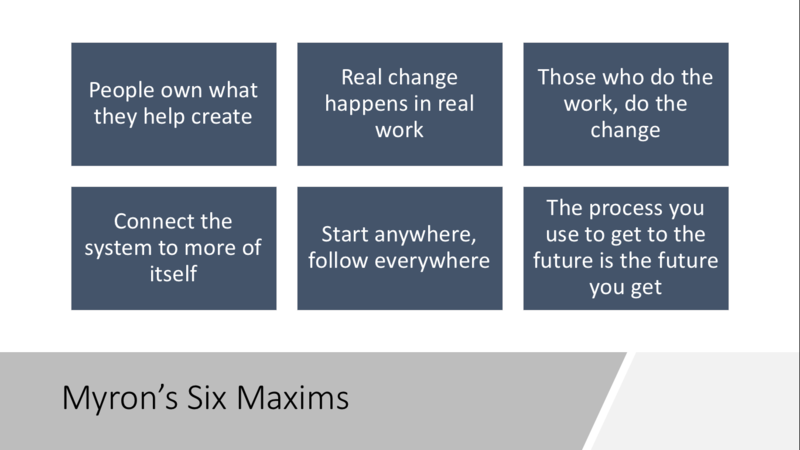 In this blog I'll share three reflections on how we've tried to do change differently. Unknown unknowns. The first element of how we approached change was to realise we didn't know what to do - but front-line teams probably would. This risks sounding trite, but how many of us have sat in management meetings where the solution is decided in isolation and then implemented? Truly recognising we probably don't know what to do is a challenging position to accept. Shadow those doing the work. The most valuable learning experiences I've had have come from shadowing staff and learning what gets in the way. Data showed that evenings were our point of greatest pressure, but it wasn't until I shadowed our ED Sister on a Friday night I could really start to understand the reality. How on Earth do you manage a department with up to a third of your nurses from agencies - you might not know their names let alone what skills they have! Each time I shadow someone it's a fascinating insight into what more we can do to improve. All the ideas come from those doing the work and are often relatively simple to sort. Intelligence. We used data to diagnose issues and act on them. 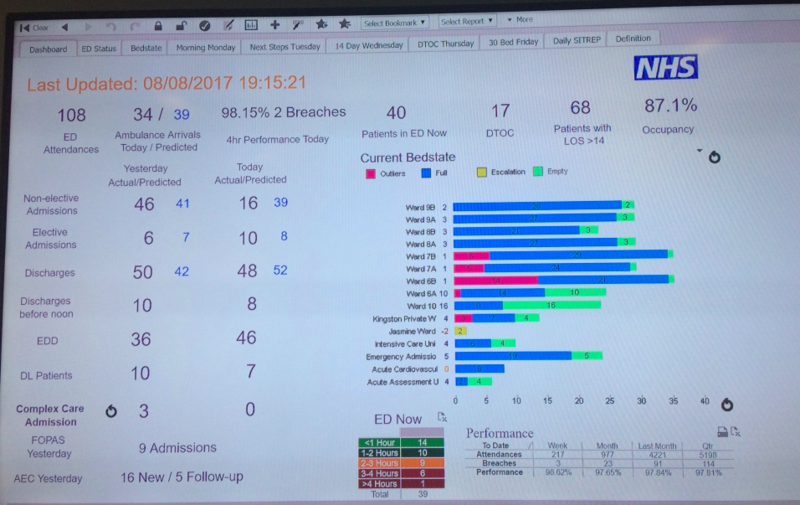 Those metrics we decided on as being key (long stay inpatients, time to triage etc) we discuss several times a day and display prominently. Using data to diagnose the problem can be profound. Whilst the perceived issue with social care previously had been a lack of capacity in the system (nursing home beds etc), our analysis showed it wasn't. The key delay was in the process of assessments, funding requests, and further assessments. None of this adds value to the hospital, social care, or the patient. And the brilliant thing is it can be solved at no expense with some teamwork and process redesign - and of course a trusting relationship with social care partners. Embrace the critics! The final reflection on learning is to listen to people who are annoyed with the system. It's easy to listen to those who are happy with what you're doing - they're nicer to listen to and will often be more forthcoming. But those who are fed up or think your plans are rubbish often have valuable insights and may be right. Keep it simple. One of the errors we initially made was having operational strategies that were too complex or irrelevant. For example, we tried for a while to implement Theory of Constraints to reduce ward delays. 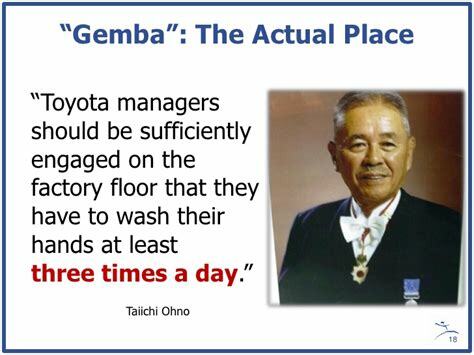 In reality management theories are too distant from what teams rightfully care about - patient care - to be relevant. As such, they won't be adopted. We moved from ToC to just talking about patients' next steps and the fact that if our families were inpatients we wouldn't tolerate any delays for them. This is much more relatable and relevant and achieves the same goal of improving flow. 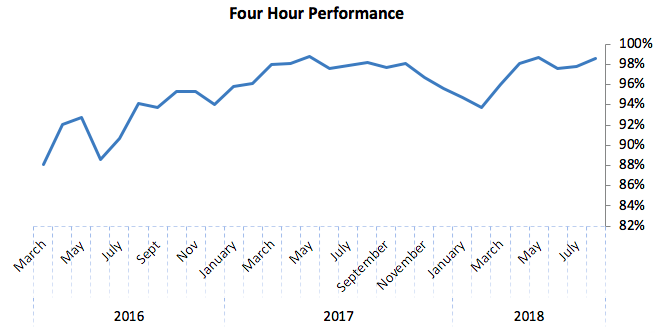 This is the way amazing people like Ian Sturgess and Brian Dolan have helped the whole NHS focus on the patient within flow through Red/Green days and valuing patient time. Make it fun. The second thing is to make change fun and relevant. 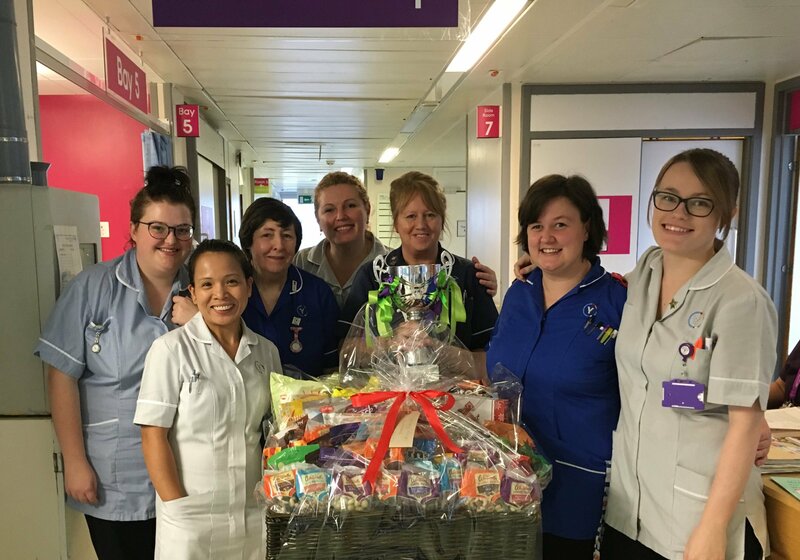 We ran competitions for wards to recognise teams that made the best improvements in preventing delays - winners receive hampers and a trophy. Every three months or so we have an iCARE about... week where we focus on a specific aspect of improvement or team we want to highlight. I've always been slightly cynical about things like fast forward weeks as they risk being largely irrelevant to clinical teams. Our challenge is to ensure these weeks aren't symbolic but instead materially change and improve how the organisation works. Operational is strategic. I'm constantly baffled by people who say "I don't want to be operational, I want to be strategic." For a strategy to be successful, it must be articulated in a way that makes sense to everyone. There isn't a separation between strategy and operations: a strategy is realised operationally and therefore strategic folks must be operational and operational folks strategic. This also means if you're delivering change through meetings you're in the wrong place. As Myron Rogers states "real change takes place in real work". We need to be in the place the work happens to enact change. This was illustrated brilliantly by our Community Trust COO and Director of Social Care who decided to come to our hospital every day for a month to meet therapists and social workers to break down barriers and help reduce delays. The long haul. I'm sure we can all relate to the latest management fad we've had imposed on us - it's flavour of the month for a few weeks then is forgotten. As one team I visited told me: "they've called it a different name this time but it's just another gimmick they'll focus on for a few weeks then give up on." If something is important, then it needs to persist for a long time. Our flow strategy has been in place for over two years - always developing but always there. Dream team. To live the change we also need teams who are enthusiastic about what we can do. They're out there and when the strategy is right will probably want to be a part of it. We've been fortunate at Yeovil to have truly amazing characters who live the changes we need to make. They understand the system, our teams, and will passionately ensure we keep improving. At heart, it's them that ensure we continue to deliver better and better care. I'm conscious in writing this blog to point out there's a lot more to do - it's a continuous process. I'm also conscious in visiting health systems in the UK and abroad, lots of people have nailed these lessons already and have much to teach us. But if writing this can help others at all as we go into another tough winter, it's worth it. Read about what Yeovil did to address these challenges. Reducing ED crowding and improving flow at Yeovil: What did we do?